Fort Kochi is the part of Cochin that is most popular with tourists. Let it be a quick visit or a few easy going days in one of the home stays, there is a tinge of anticipation associated with visiting here. 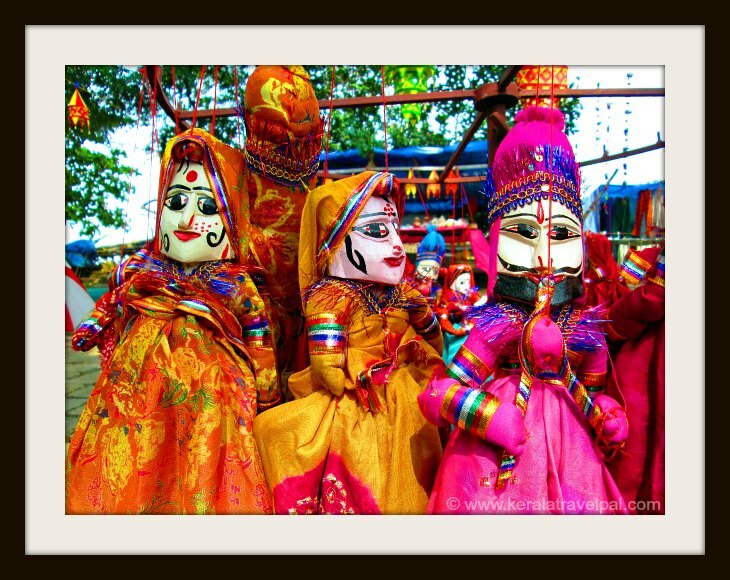 It is a good place to kick off or finish your Kerala tour. 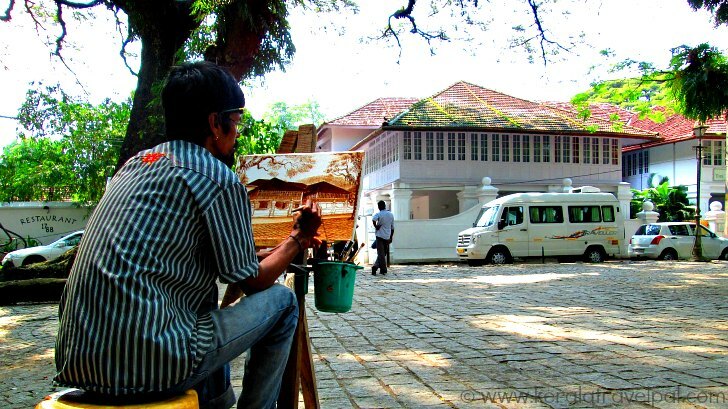 While most people like it, there are also isolated voices that Fort Kochi is a bit overrated. One thing is for sure. Government needs to do something serious about regular cleaning of the beach area and surroundings. Till that happen, Fort Kochi will never rise up to its true potential. One day is more than enough to cover the whole place unless you want to step aside and spend some time doing almost nothing. To most people, it is an interesting experience. The small roads, the old colonial bungalows, the make shift shacks, the beach side eateries, rows of Chinese fishing nets, historic monuments.....this place seems to be miles and miles away from the crowded lanes and dusty corridors of Cochin City. The historic past points out to 1503 as the year the King of Cochin gave permission to the Portuguese to build a fort near the sea. They built Fort Emmanuel and its surroundings came to be known as Fort Kochi. They also built settlements and a church. The modest worship place, later rebuilt, became St Francis Church. It is the first Church built by Europeans in India. Kerala already had Christianity and Churches. The earliest Churches in Kerala were built by St Thomas, the disciple of Jesus, who arrived here around AD 52. During various stages, Dutch and the British occupied Fort Kochi. Cochin being a spice trade centre this area was strategically important. Several centuries of foreign influence can be seen in the form of European mansions and heritage buildings. If you take a stroll, it is hard not to notice the fusion of Kerala and European architecture in many of the buildings around. European influenced structural designs and heritage makes this place one of a kind in Kerala. The best way to explore is by walking around. There is a beach and several historic monuments within walking distances. If you are tired, three wheelers are always available for hire. The beach is just a popular hangout place. If you are after swimming, a better choice is Cherai, which is a well known beach of Central Kerala. The beach side eateries specialise in sea food. Other than well set up restaurants, there are many unimpressive small shacks that prepare quite impressive sea food. Needless to say, fish is a big deal in this sea side town. It is one of the best places to see Chinese fishing nets in action. Vasco Da Gama Square near the beach is the ideal place to sit and watch local fisher folk operating them. It takes at least four people to lift them. The web of Chinese connection links to the era of Kublai Khan, the emperor. Traders who arrived during that period introduced these nets at Cochin shores. 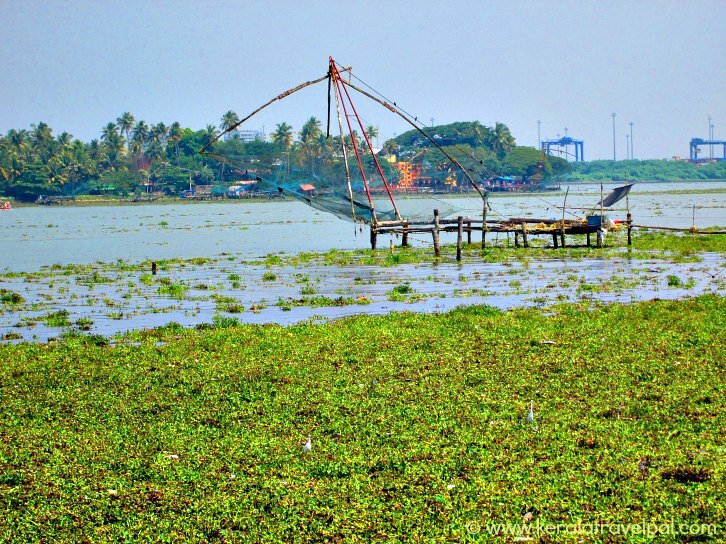 An efficient way to catch fish from the backwaters, Kochi kept them ever since. The main historic tourist spots around are St Francis Church, Vasco House, Bastion Bungalow, Fort Emmanuel and Santacruz Basilica. The initial construction of St Francis Church dates back to the early 1500’s. Vasco Da Gama was buried here. Later his remains were dug out and sent to Portugal. A short walk from the church is Fort Emmanuel. Parts of it are ruined, what is remaining is preserved. The historic site is just on the sea side. The house where Vasco Da Gama lived is named Vasco House. It features Portuguese architecture of Gama’s time. Santacruz Basilica has its origin in 1505. Built by the Portuguese, it became a Cathedral in 1558. The original structure was later demolished by British troops. The current building dates back to 1905. Some of the other historic sites in Fort Kochi include Pierce Leslie Bungalow, Old Harbor House, Delta Study, Koder House, Loafer’s Corner, VOC Gate, United Club, Bishop’s House, Dutch Cemetery, Thakur House, Parade Ground, David Hall and Cochin Club. Fort Kochi is one of the three major areas of Cochin. Mattancherry and Eranakulam are the other two. It is about 16 kms from the main train station at Eranakulam North. From there, you can hire a three wheeler directly to Fort Kochi. If you want to save a couple of hundred rupees, you can get to the main boat jetty in a three wheeler and take a ferry from there. Another option is to reach M.G Road, about 500-600 metres, and take a bus to Fort Kochi. This is an ok option only if you have minimum luggage. The distance from Cochin Airport to here is about 45 kms. Most hotels do airport pick up. Prepaid taxis are also available. If you find it expensive, the other choice is to take the KSRTC airport bus.